The UK’s second city has seen an extraordinary turn of fortune in recent years. Regeneration projects have transformed a once perceived downtrodden city, into a property investment hotspot, Birmingham now has some of the most architecturally stunning developments in the world. The history of Birmingham is one of both jobs and housing shortages, leading the city to fall into a serious decline in the 1970s. Fast forward a few years and billions of pounds of development have completely altered the face of the city, and it is now showing the highest growth in manufacturing and technology jobs outside of London. A city that is on the up is a place that attracts both a workforce and investors, which is always guaranteed to have an impact on property prices. The first half of 2017 was testament to this, seeing house prices rise by 6.1%. With the headline rate of growth across UK cities sitting at 4.9%, this meant that Birmingham had seen greater levels of growth than any other city in the country. Birmingham is also reported to be the second most valuable city in the UK based on the value of private housing, boasting 5% of the share. However, it is believed that Birmingham’s growth has not yet peaked, and house prices could rise by as much as 14.2% over the next five years, making now an ideal time to invest in the area. This astonishing growth could be due to the fact that incomes currently outstrip the relatively modest Birmingham house prices amidst a robust economy and strong employment growth. 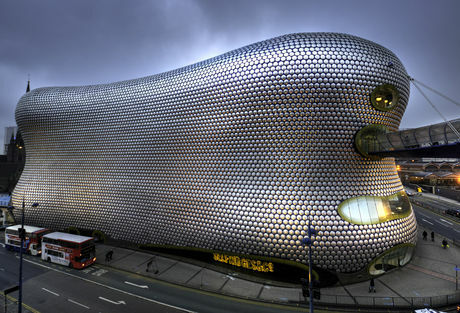 For investors, Birmingham is a city that is not to be ignored, particularly as it has recently been named the sixth best area in Europe for investment prospects ahead of the capital which failed to even make the top 10. House prices in Birmingham are seeing the biggest boom in the city centre, which has experienced 5% increases year on year. This is largely due to the relocation of financial powerhouses such as HSBC, Deutsche Bank and HMRC into the city, bringing thousands of members of staff with them. This workforce inevitably wants to live close to work and so repeat investors have flocked to Birmingham, viewing it as a safer investment area than London. HS2 has been a big talking point for many investors, and the effect of it is likely to be felt most greatly in Birmingham. The proposed high-speed rail line will connect cities such as Birmingham, Manchester and Leeds with London Euston from 2026. The vast new atrium at New Street station already acts as a gateway to what seems to be a whole new city, and the future £1 billion of investment around the new Curzon Street HS2 station will create several new neighbourhoods. Birmingham is changing, and it is creating some brand new property hotspots that are attracting investors and residents alike. This has come about through massive areas of regeneration costing billions of pounds. The Jewellery Quarter is seen as one of the more desirable areas of Birmingham. Not only are big home builders moving to the area, but the impressive red-brick warehouses are also being converted to attract a younger demographic. The sale of old industrial buildings in Digbeth, and the incredible housing stock available in urban village Moseley are creating some new areas of incredible popularity. Other developers have begun creating new residential developments in the ‘Soho Loop’ and Broadway areas as they are aware that there are now attractive resale values to be had. There is also substantial development of the residential and retail zone of Smithfield and a new cultural quarter in the east. Two brand new city centre developments that sold out at a rapid rate are great examples of the level of demand for Birmingham property, and investors here can expect to enjoy yields of 5.5% to 6%. One and two bedroom flats in the area typically cost between £170,000 and £225,000 but well positioned luxury properties are now commanding in the region of £2 million. The University of Birmingham is one of the most popular education centres at the moment, and with many graduates choosing to remain in the city after they have completed their studies, buy-to-let investors are flocking to the area. Birmingham’s central location and large population has meant it has long been ripe for redevelopment, and now that has started to happen, investors are seeing some great opportunities that show no signs of disappearing soon.